Elizabeth Warren is steering Democrats left without running for president. Even without running she’s forcing the Democratic candidates to look out for consumers. Sen. Elizabeth Warren speaks in Washington on Oct. 1, 2015. Sen. Elizabeth Warren spent the better part of 2015 fending off the pleas of her many supporters. No matter how many times she claimed she would not run for the presidency, no matter how emphatically she said no, many refused to accept her answer. No need to worry. Warren’s voice and the economic issues she is passionate about are present in this race—and in other places, too—even without the possibility of her name appearing on any ballot. Warren also contributed to breaking a five-year logjam over a Department of Labor effort to expand investor protection for retirement accounts. At the beginning of the year, the effort appeared to be foundering, derailed yet again by fierce financial services industry pushback. The increased attention to a previously obscure regulatory issue ultimately pushed all the Democratic candidates to announce their support for the proposed change, which is known as the fiduciary standard. That included Sanders, who in 2010 signed a letter opposing a previous version of the revised standard of customer care, claiming it would burden Vermont companies offering workers employee stock ownership plans. A finalized rule is expected from the Department of Labor in 2016. On the issue of college affordability, this year, as in years past, Warren introduced legislation that would permit student loan borrowers to refinance at lower rates. 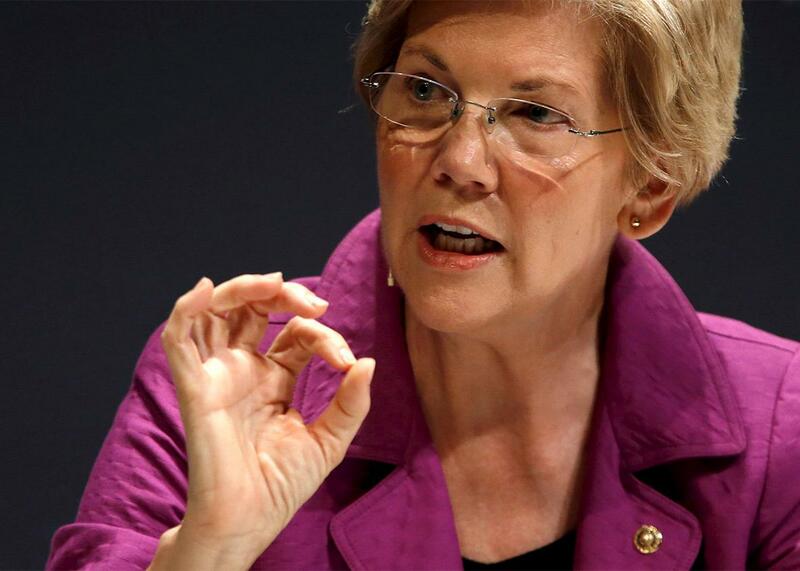 Like with Social Security, Congress dinged Warren’s student-loan initiative. But in the Democratic primaries, the debate is now over whether tuition at public colleges should be free, as Sanders advocates, or if families should be required to pay what they can afford, as Clinton supports. “She succeeded in pushing the debate on student loans to the left,” declared Politico’s Allie Grasgreen. In other areas, Warren’s produced bottom-line action and results for individual people. When Corinthian Colleges, a for-profit chain, closed earlier this year amid widespread allegations students were tricked into taking on loans to attend the school by recruiters lying about job placement rates, advocacy groups spent months lobbying the Obama administration to set up a process for the now former students to apply for debt forgiveness. Left unresolved: the tax consequences of officially voiding the loan. Tax law counts forgiven debt as income and bills accordingly. It appeared the students whose debt was dismissed would need to once again prove they were victims of fraud, but this time not to the Department of Education but to the Internal Revenue Service. It took months of pressure to get the IRS to agree not to pursue the claims. Would this have happened without Warren? The Huffington Post says no. But the issues of regulating Wall Street and the economy will remains front and center in the Democratic campaign. Sanders, O’Malley, and Clinton—who finds herself pressed time and again to square her tough talk on the financial industry with all the campaign donations she’s collected from the sector—would do well to consider Warren, if not quite an unofficial challenger, a powerful campaign presence.